But when their beloved grandmother ends up injured and unable to manage her struggling antique store, Courtney makes it their mission to revamp the business and save what’s left of their family’s legacy. Despite rampant doubts in her abilities, Apryl finds herself trapped under the weight of family loyalty as they transition to a wedding venue decorating service. Soon she’s forced to ask (translation: blackmail) their grandmother’s renter/handyman, Chance McFarland, for help, an arrangement that is made even worse by the fact that Chance is her former (ahem, and current) crush. Chance knows a few dozen things about family loyalty, which is why he begrudgingly agrees to Apryl’s insane plan. While Apryl claims they’re archenemies, the girl Chance only glimpsed in their teens starts to emerge, stealing what remains of his heart. But expectations are a powerful thing. 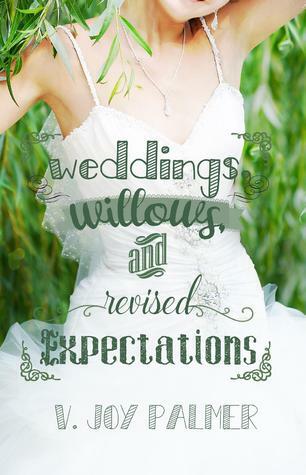 Amidst the glamorous weddings and swaying willows, can those old expectations be revised into something new? This was a truly fun and enjoyable book. I really liked Apryl, and Chance was amazing. I also liked how we got to see Courtney’s story play out as well – this wasn’t just a one-character’s-story book. Yes, Apryl was the primary ‘star’ but we got to know Courtney as well, and that aspect was really nice! Having Chance’s POV in there was a great piece of the book too! Twins, Apryl and Courtney take over their grandmother’s antique business while she recovers in the hospital. To keep the business from failing, they revamp it into a wedding decorating venue, and I loved this clever aspect of the story. It was unique, and fun, and I loved seeing each wedding that they decorated come together and how each one painted a vivid picture for me to see in my mind’s eye. Returning to the topic of Apryl and Chance though… I loved these two so much! They could be oh-so frustrating (though I can see why XD) but they were so fantastic, and quickly became beloved characters to me! And I loved the faith message in this book. I could relate to Apryl’s feeling like a failure and not worth it, etc. but the truth she received at the end was beautiful. And same goes for Chance’s journey! I loved how each grew separately AND together. Apryl really had a vivid character and I so enjoyed getting to know her, and Chance too. (I may have developed a little crush on him myself. And also, this book made me really want potato chips….). All in all, a delightful story! 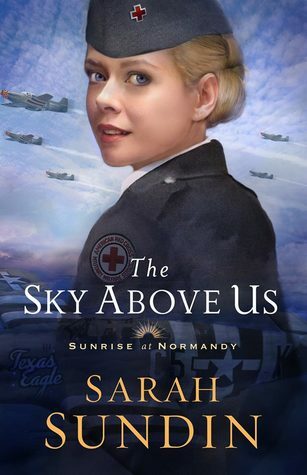 Looking forward to more from this author! Oh my goodness! What a pleasant surprise this book turned out to be! Going into it, I expected to enjoy it, but I was just utterly blown away. I loved it so much! It definitely deserves a spot among my favorites. Why might this be, you ask? Because the characters! And the plot! And the characters. *Hugs book to self* I loved these characters so very much. 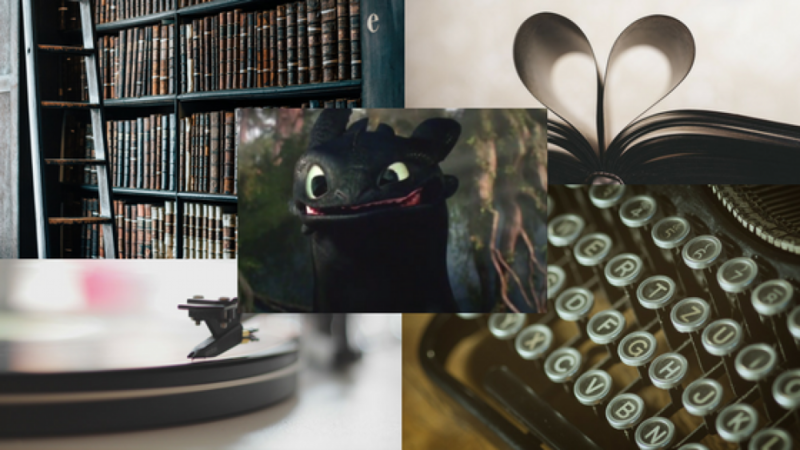 Our heroine, Winnifred Wylde, is amazing, and adorably quirky, and she loves reading which is always a plus. And Detective Jude Thorpe! Oh my goodness, be still my heart. He is an AMAZING hero that you will not want to miss out on. He’s real, not overly perfect, and he’s caring, and so much more. The adventure and danger these two characters embark on is spectacular, and the plotline so well done. You’re hooked from page one, and finding out how it all tied together at the end was marvelous. As much as I utterly adored the fascinating plot, for me the shining-quality were the characters themselves. So unique and real, and enjoyable. I could clearly picture them in my head, and I am honestly sad to part with them! The Bible verses that Winnie clung to for comfort were some of my most favorite, and so that added a special depth and importance to me too. This sleeve is flexible and durable – the fabric is strong, as is the sewing, and yet it is still not stiff or stuck in one place. My favorite part of this sleeve, by far, is the cushyness of it. As I’ve said, it is super soft and I love that! And of course, the Alice in Wonderland print itself is incredibly endearing, and so whimsical! Definitely in love with this sleeve and excited to have this brilliant piece in my collection! 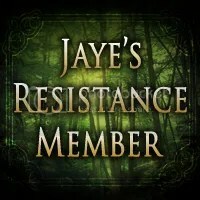 A huge thank you to the owner/creator of the shop – she was a delight to work with! I am so excited to share about an Etsy shop today, and in particular, a book sleeve from this shop! I was very blessed to receive the NeverLand print book sleeve for review from The Virteous Spindle Etsy shop, and I am thrilled to share my review with you here! The shop has some adorable items, including book sleeves, mug-rugs, cup-cozies, and more! I definitely suggest checking the shop out. The owner was very pleasant to work with, and I love the quality of her book sleeve! Oh my goodness is this print darling! Peter Pan has always held a dear spot in my heart, so when I saw this Neverland print, I was smitten. And the soft pink color is perfect. This sleeve is padded beautifully, and size is perfect for softcovers and hardcovers alike. I like how the inside is lined with a soft purple fabric that compliments the outer print very well, and is gentle on the books it will keep safe! I really am extremely pleased with this book sleeve, and the Etsy shop itself! Beautiful, well-made items that I can recommend. I have already used it to protect my current read and love how it fits safely into my purse without bending the book. Book sleeves are a must have, in my opinion! This is an exquisitely told tale of…so much. To say it was only about one character, or one theme would be an error because so much was ensconced in this novel. The story is told through the eyes of Abigail – or Belili as she is most often referred to – and Daniel, and spans across their lives from when they first met, when they felt lost to each other, and when they were reunited, and beyond. It took me a bit to adjust to the time-jumping, but it was handled smoothly, and expressed the novel so well. Belili had to endure a lot of heartache. As we learn her story, we are endeared to her and understand her pain, and her decisions. Time after time God gently reveals Himself to her, and that was a beautiful part of this story. Daniel’s faith was spectacular, of course. And inspiring. To be faced with death for following Yahweh, and still remaining true to Him – it is encouraging to say the least. I thank God that we can still worship and pray to Him freely. 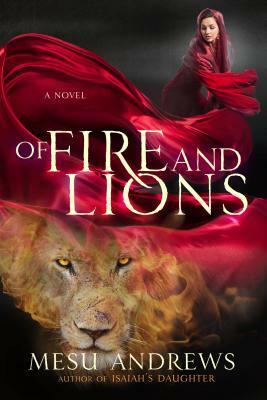 “Of Fire and Lions” really is such a full book that it almost seems impossible to cover everything and do the book justice. It was more than a pleasurable read, and I absolutely loved the faith shown throughout. Seeing the transformations at the end was just wonderful, and seeing God work – always amazing! 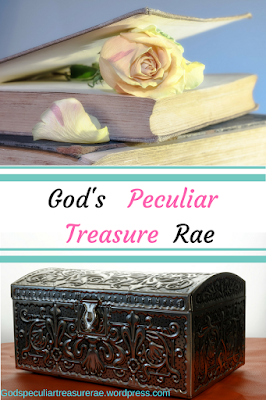 A beautiful Biblical Fiction piece from Mesu Andrews – I always look forward to more of her novels!